A vase of flowers becomes an excellent pencil holder, especially when your pencils are topped with handmade tentacles in a complementary color. 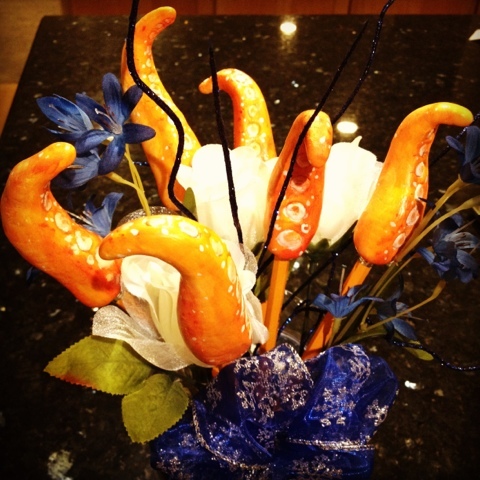 I molded these tentacles by hand (much as one would sculpt dough) and detail-painted them. I don't know how I came up with the idea, I just think tentacles are cool. They evoke monsters/aliens while bringing a pleasant organic shape to everyday decor.